Fall fishing in Michigan offers something for everyone! Some of Michigan's rivers are filled with steelhead trout and brown trout offering exciting trips for these beautiful fish while other rivers offer fantastic fall walleye options for those anglers wanting to fill a cooler. Open water fishing on our lakes and bays include opportunities for walleye, perch and ciscos. Fishing with our Captains and Guides gives you the advantage of their knowledge and expertise gained from years of fishing in Michigan, and the use of the best fishing electronics and equipment available. Whether you're new to fishing and interested in learning how to fish, or an experienced angler looking for a Captain or Guide to take you to the best fishing locations, Sport Fish Michigan will create the perfect fishing trip tailored to your interests. We take pride in providing the highest level of customer service and Michigan's best fishing experiences! Fall fishing in Michigan offers a large variety of species to target using multiple techniques to fit every angler's preference. Now is indeed a wonderful time to be on the water with a Sport Fish Michigan Captain. 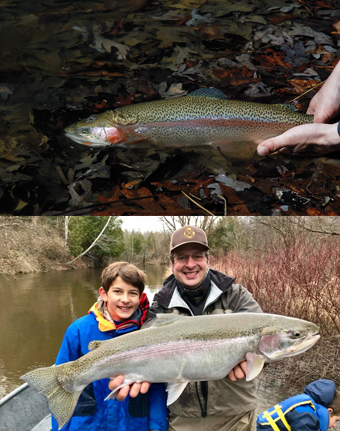 Rivers like the Manistee River, Betsie River, Muskegon and Grand Rivers are filled with steelhead and brown trout. For anglers seeking incredible walleye fishing, rivers like the Detroit River, Saginaw River and St. Clair rivers are hard to beat. 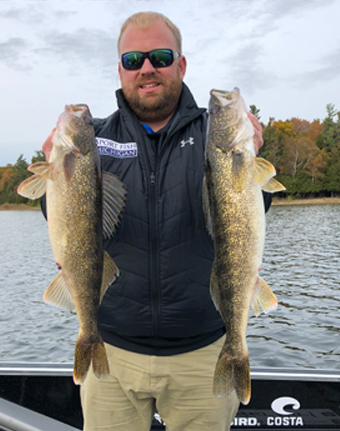 Walleyes, perch, and even ciscos all begin their late fall feeding binge and bite aggressively all fall long on both inland waters as well as waters like Grand Traverse Bays, Lake St. Clair, Saginaw bay, and the mighty Detroit River.